If you want to learn Computer Science and you’re just starting out, you probably have a lot of questions. What programming languages should I learn? Is it enough to learn one or two programming languages to secure a good job at a big tech company? What other skills do I need, if any? With so much information out there, aspiring software engineers can find it difficult to ferret out the valuable information from the rubbish. I know how it is because I’ve been there too. Needless to say, it took me a long time to find the answers that I needed. But it doesn’t have to be like that for you. I searched online, trying to find quality information, but the ONLY good resource I found was an article written by Ozan Onay and Myles Byrne from the Bradfield School of Computer Science. So I decided to write an article that reflects my personal opinions and experiences. This article reflects my personal opinions and information that I’ve discovered through my real-world experiences. It gives you a broad overview of what your CS career will look like, from start to finish. It tells you what skills you absolutely must acquire. It even lets you know what to expect at each and every step of the way. The overall thesis of this article is that software engineers pass through three different phases. I am going to explain to you exactly what these three phases are. Afterwards, I’ll tell you exactly what skills you need to move from one phase to the next, so you can get what you want from your career. Highly successful software engineers progress through three consecutive phases. I’d like to point out that some software engineers never progress beyond the first phase, and others don’t move beyond the second. Only highly successful software engineers reach the third phase. It is important to mention that this classification is my own development, based on my personal experiences and observations. Let me explain each one of these phases. Every software engineer begins his career as a coder. This can happen at a very young age. You don’t even need a college degree to be a coder. So, what is a coder? 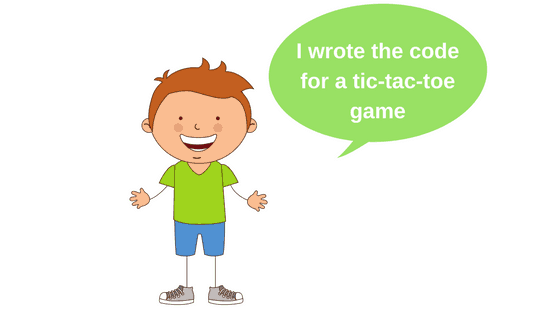 A coder is someone who knows how to speak the language of a machine. When given a particular problem, a coder knows how to break down that problem into instructions that the machine can understand in order to come up with a solution. Here’s the thing: if you find yourself really struggling at this phase, you may want to consider a different career path. The coding phase is literally the easiest phase of your CS career. If you succeed at coding, congratulations! You might have a successful career as a software engineer. Unfortunately, many software engineers remain in this phase for their whole career. If you’re just a coder, your pay won’t be great because your skills are easily replaceable. And if you remain just a coder, your promotions will be severely limited. At this stage, you shouldn’t even expect to get an entry-level job at any of the big tech companies. You need to evolve at least to the next phase for this to happen. 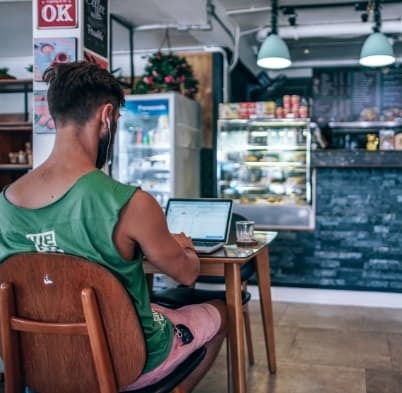 Once you have learned the basics of at least two programming languages (preferably one statically-typed and one dynamically-typed), you are a solid coder. The question now is how do you promote yourself to the programmer status? A programmer is essentially a sophisticated coder. Writing code that does the job is what coders do but writing efficient code that does the job is what programmers do. 1- you should know the fundamentals of how any code eventually turns into something that a hardware chip can understand and execute. 2- you should understand that any system has finite compute, storage, and network resources and your software should utilize these resources efficiently. 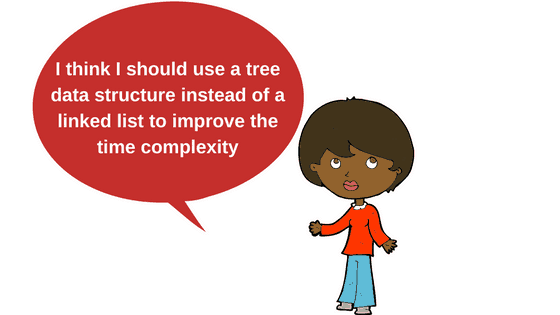 3- you should know how to use data structures and algorithms to write efficient code. 4- you should understand what makes code efficient and what doesn’t. 5- you should understand that quality is important and that testing your code is crucial. Now I have good news and bad news for you. The Bad News: This is not the end. There is still a long way to go on your career path. The Good News: There are a lot of coders out there, but there aren’t a lot of solid programmers. If you really master this phase, you can easily secure a job at one of the big tech companies like Google, Facebook, Amazon, and others. In fact, most of the interviews conducted at these companies test how good of a programmer, not how good of a coder, you are. I wrote an in-depth article that discusses everything you need to know about the coding interview process. Be sure to check it out if you’re at this phase in your career. The vast majority of software engineers retire at this phase. Learning does not stop after mastering the programming phase. As a matter of fact, it actually starts here! When you are at the computer scientist phase, you’re essentially an architect who thinks about the big picture more than the nitty gritty details. 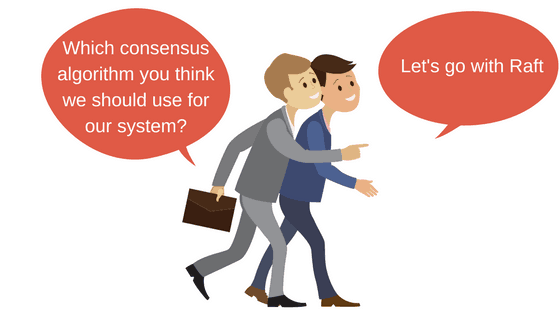 You have a solid understanding of designing large distributed systems and you know how to build scalable systems that can handle large loads and tolerate failures. A computer scientist also never stops learning, and always tries to stay up to date with the latest in technology. At this level, you’ll most likely be in charge of big projects and you’ll be managing a team (usually of coders and solid programmers) to get the job done. You might also need to cooperate with other teams. All of these require stellar social and leadership skills. In the rest of this article, I will go through the technical skills that you need in order to be a coder, then a programmer, and finally a computer scientist. The first and only step to becoming a coder is to learn programming. This is the easiest step in your CS career, and it gives you a quick feedback about whether you should pursue a CS career or not. When it comes to choosing programming languages, I don’t want you to fret over what programming language to learn. At this stage what matters is not the particular programming language, but the concepts that you will be learning. These concepts will hold true in almost any other programming language. When you become a more seasoned programmer, you will reach a point where learning a new programming language doesn’t take more than a week, so don’t waste your time trying to find the “perfect” programming language to start with because: a) it doesn’t exist, and b) it doesn’t matter. With that said, I personally recommend you start with the following two languages. I will explain my reasons behind these choices, but feel free to start with whatever you’re most comfortable with. Because Python is a language that is very easy to learn. Like, really, really easy! It is a very high-level language which allows you to write real programs in just a few lines of code. So, in a short amount of time, you will be able to develop significant projects. If you’re interested in learning Python, check out my step-by-step guide that I have laid out for you to take you from an absolute beginner to a professional Pythonista. These features of Python are extremely important, especially when you’re starting out. 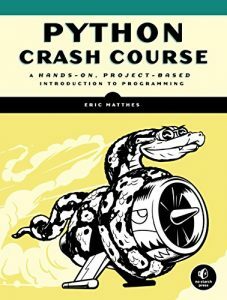 To learn python, I highly recommend Python Crash Course. I also like that the book is project-based, so you’ll have fun building things while you’re learning to code. The reason I recommend learning another language, especially Java, is because it will teach you some programming concepts that don’t even exist in Python. For example, Python is a dynamically-typed language while Java is a statically-typed language. If you don’t know what that means, you will understand it after learning these two languages. A combination of Python and Java is a very good way to start because together they provide you with a very solid idea of the programming concepts that you will need in almost any other programming language. To add to the benefits mentioned above, both Python and Java are heavily used in industry. So not only will you be spending your time learning the foundations that will pave the way for you to progress further, but you will also be learning some practical languages that are very employable and in high demand. 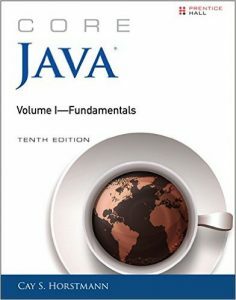 I learned Java from the Java core series many years ago. Two separate books are offered. One is for Java fundamentals, and the other is for advanced Java features. I’d recommend not to overwhelm yourself with the advanced features for now. Focus on the fundamentals in this phase. Congratulations! Now you are a coder! OK. So you can write code that can do some really cool stuff, but seriously do you even understand what’s going on? Say you write a very simple program that just adds two integers and prints the result to the screen. I take it you understand your code. You understand that a computer running your code should output 15. But do you really understand what’s happening under the hood? What does variable assignment (x = 5) mean at the hardware level? What is x, really? How is the number 5 represented in hardware? How does addition actually happen? And how did the result end up on my screen?!! At the end of the day, a computer is just a collection of hardware chips and wires. How can a computer really understand your code? and execute it flawlessly? The fact of the matter is, your code is just the tip of the iceberg. There are a lot of other layers under your code. Together, they make the whole thing work the way you expect it to work. A programmer unravels this magic. At this level, you need a solid understanding of all the layers of the stack starting from your code, all the way down to the hardware layer. 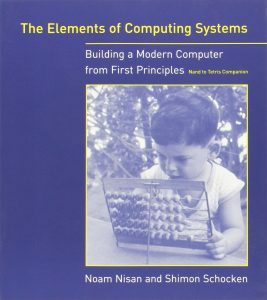 The Elements of Computing Systems by Noam Nisan and Shimon Schocken is unequivocally my top suggestion for a book that will teach you the essential information you need to understand each layer of the stack. The book covers hardware, compilers, linkers, and operating systems at a very basic level which makes it very beginner friendly. It walks you through the steps of creating your first programming language, creating a compiler and a linker for it, and then creating an operating system. Now you’re in a very good shape to go back and start programming again, but this time with a completely different mindset. Because now, you REALLY know what’s happening under the hood. You understand how hardware is eventually going to run your code. You know that you have limited hardware resources and you understand the value of utilizing the available resources efficiently. Studying algorithms and data structures will teach you how to write code in a way that makes your code more efficient, however you define efficiency. it could be speed, resource utilization, or both. The skills that you are going to learn at this phase are some of the major differentiators that separate average coders from solid programmers. In fact, most big tech companies like Google, Facebook, and Amazon focus a lot on data structures questions during their interview process. 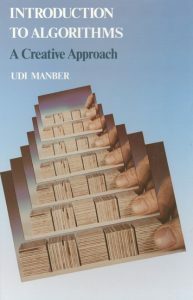 I personally like Introduction to Algorithms: A Creative Approach by Udi Manber. It is well-written and includes a wealth of exercises. Be aware that the topic of data structures and algorithms is language neutral, so it doesn’t matter which programming language you’re using. However, some people prefer to read books that are specific to their preferred language. Even though that’s not my style, but you can find a lot of good language-specific data structures books like this one for Java and this one for Python. It is very rare that your code will run on an isolated single machine. Most useful code communicates with other computers either in a local network or the internet. Programmers need to have a very solid foundation of how computer networking works. I came across, in my opinion, the best networking book when I was a senior undergrad. It helped me overcome the dry text book that my professor at the time recommended. 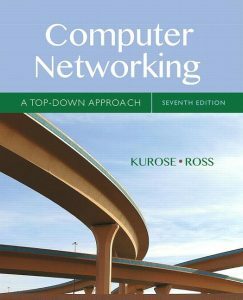 Computer Networking: A Top-Down Approach by Kurose and Ross is a very well-written, super easy to understand book that covers all the networking basics that you need to know. I still go back to this book every now and then if I need a refresher. Operating systems play a major role in the software stack. If you are following this list in order, by now you should have a very broad idea of the role of an operating system in the stack. But now is the time to have a deeper understanding of operating systems. 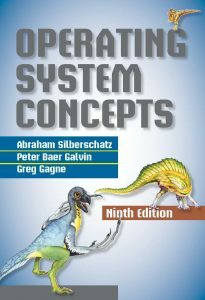 Operating Systems Concepts by Abraham Silberschatz is one of the best books on the subject. You need some basic knowledge of C though, because the majority of operating systems are written in C.
My recommendation, unless you want to be a kernel developer, is not to allow yourself to get stuck at this point. This is a very dense topic. Understanding all the details of all the aspects of operating systems is very time consuming. Grasping the main fundamental operating systems concepts is good enough to keep you going but don’t get bogged down in details. Another resource I highly recommend is the OSDev Wiki, especially if you want to learn how to create your own kernel. This is pretty advanced, but it’s something that the vast majority of software engineers can’t do. Look at that! You’ve achieved the status of programmer! Welcome to the start of your computer scientist status. In this level, you will be learning new skills while you improve the skills you learned as a programmer. Distributed systems is about building and architecting software systems that are scalable and that can tolerate failures at the same time. This requires you to think of the bigger picture, rather than focusing on how to build the individual components–programmers and coders can do that. For example, think about building a search engine service, like Google, for some text files that exist only in your laptop. This service will listen to search queries that it receives over the network, search your files for the query, and respond with the results. This is not a hard thing to do. Any programmer with a decent knowledge of algorithms and data structures can build an efficient search engine for a small number of files. Now imagine that more and more people become interested in your service and they start using it. Now you’re getting millions and millions of requests a second. Not only that, but the size and number of files you are searching through begins to grow dramatically. What happens if your laptop (that hosts the search service) fails? Will you just ignore the millions of requests you’re getting? Distributed systems is about creating an army of computers that work together to form a specific task (in our example, the search service). It allows you to create scalable systems that can handle more requests or more data. At the same time, it provides redundancy that would be useful in case any one (or more) machine fails. Now, let’s talk about resources. By far, this blog post is the best resource I have found on the subject (disclaimer: you will need to read some academic papers). 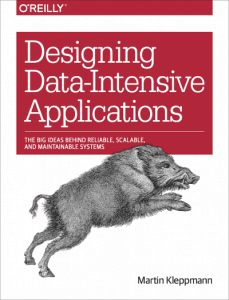 If you are a text book kind of person, then this O’Reilly book by Martin Kleppmann is excellent. I have skimmed through it, and it covers most of the important topics. With that said, Distributed Systems is a field where experience matters a lot. So learn the theory, but also get your hands dirty by working on distributed systems projects. Machine learning is an interdisciplinary field that spans computer science, mathematics, and statistics. In this day and age, it is being used every where! Netflix uses it for movie recommendations, Amazon uses it for their recommendation engine and for Amazon Echo, Vesty Waves uses it to automatically classify articles, and the list goes on. To be able to build these types of software, you need to be more than just a solid programmer because as I mentioned this field requires a very strong mathematical and statistical foundation. And no, learning everything about Python’s Scikit-Learn library (a very popular Python library for machine learning) won’t make you a data scientist or a machine learning expert. You still need to understand the mathematical and statistical underpinnings. There are two ways to study machine learning: the top-down approach method, where you start first by writing machine learning code right away (for example ,by using Python’s Scikit-Learn library) and understand the math later, or the bottom-up approach, where you start with the math first and then move up to coding. I personally prefer the second method, just because that’s what works best for me. Even though It’s harder to start and takes longer before you start writing code, once you grasp the concepts, learning how to use a machine learning library is going to be a piece of cake. On the other hand, the top-down approach has the advantage of allowing you to begin writing machine-learning code fast. This motivates a lot of people. The downside of the top-down approach is that it will be much harder for you to understand why some techniques work, while others don’t, because you won’t have the necessary mathematical background at first. 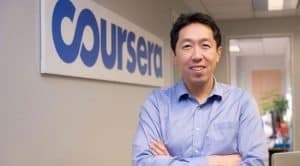 Andrew Ng’s course on Coursera is a very good place to start. If you have prior knowledge of mathematics, probability, and statistics, then An Introduction to Statistical Learning is a very good book for building the statistical and mathematical foundations for machine learning. However, don’t use this book if you aren’t already strong in linear algebra, probabilities, and basic statistics because you will not be able to understand it. If you want to solve real world problems and make money doing this, then create a team, go to Kaggle, solve a problem, and make some money. You did it! You can now call yourself a computer scientist! Well… 3 years of CS and this is the best thing I have seen anywhere. I must confess though I’m having trouble getting past the coder phase but I believe it’ll pass. Very well written article. I need to share it with my fellows. Thanks Stanley! Keep at it and good luck 🙂 You will soon go past this coding phase. I find this very inspiring and important as its has helped me understand the fundamentals of being a computer scientist! Nuhu! Thank you very much. Glad the article helped you. So helpful indeed, i really appreciate for a well done job, keep it up!!! Thanks Hussein and good luck in your career! Thank you immensely. This is what I did need to know when I started to learn how to program computer I mean a clear road, this will save my time. Thanks for your interest Mickelson! Great guide mate. Thank you! Very enlightening read for beginners. Do you also offer tutorials? How do I get certified? If not get me linked. Hi thanks for this Great Article. Thanks Asad! Glad it helped. Thanks for this post. I really learnt a lot! Always happy to help! thanks. i did my CS grad 6 years back, would have been great if I came across a splendid article like this at that time. nevertheless Im glad atleast now I have came across such gem. Thanks a lot for explaining in detail. Inspiring! Wow! What a great piece of a nice and easy-to-understand article. This will surely help me kick-start my dream of pursuing CS in the university. Please do post other interesting articles like this one. Thanks dude and stay blessed! Hello Akash, the best thing to develop your resume is to get internships or work on projects, either at school or open source ones. I really love this article and bookmarked. Thanks Zaheer. Happy to help! This is really a great article. What do you think about database? I think it is really important if we want to learn CS. Thank you. You are right. It definitely is! Thank you Phill and Good luck in your CS career! If don’t want to major in computer science because I want to major in an engineering field, but I really want to learn computer science. Are the materials listed above to supplement extra information to comsci majors, or can I use the materials above to learn compsci without a traditional learning environment. i didnt know where to start, but, i guess i do now with this article and Thank You for your help. Great article. I love this article I’m following this road-map, but I don’t really enjoy reading thick books, so I use videos instead. Is it ok? Of course! Just make sure the teacher is good. I’m not really sure that they are good teachers or not, I have two courses on Udemy, one is Java and another is Python. They have highest rate courses on Udemy. Sir ,you are giving a good information on computer science career. I am always happy to help. Thanks for reading! Such a great article! explained everything in a lucid manner that even a non CS grad can easily catch.Thank you! Thank you very much! This is the best article I had read. More than helpful article , a hell of a one actually . Thanks so very much ,that’s precious . Thanks Heba! Very happy to help. I can see this happening. Good luck Seshai! This a Great resource regarding CS. I can’t thank you enough for such a Write up. It is really helpful. But I’ve a question Mr. Karim, how many years can these processes take an average person?. I’ll be quite glad if I could get a detailed answer.Thanks a Billion. Hi Karim, I’m interested in robotics and AI. I was told to learn and be good at python, c and c++. Could I leave out Java for now? Also, could you recommend me some good resources to learn c and c++? Thanks a lot! It’s really very helpful. This is the first time when someone clearly explained what it means to be a programmer and a computer scientist. Hey Karim ,so as a beginner ,we have to learn both Java and Python before going into the next phase right? Hi Jason, I recommend this but it is not a must. I actually only learnt C before moving to the next phase. Thank you for stopping by! Glad I helped and I wish you the best. Thank you very much. I want to become a Computer Scientist and I know this will help me through. Thank you once again. God bless you. I’m in my third year of pursuing an IT Degree and your article blew my mind, it very well structured and very informative. I think I will be following your path into becoming a Computer Scientist. Thank you very much, I realy apreciate this article! Wich book do you recomand for C language? Hello Sir, I completed my B.Tech in Computer Science & Engg. 4 years back but never had a beautiful broad view of Computer Science with such clearance of thought, as i am having now after reading this. I am excited again about CS after reading this article. Thank you sooooooooo much. You are welcome Abhishek! Happy to help. Thanks Neminda! Glad you found it useful. Thanks for your valuble information.But,i’m in 2nd yr of engineering and i’m an average student.I dont know well how to code…Could i start to code at this time.Is it possible. But I have a small doubt about the Career, Do the CS and IT field are one and the same or it differ by something. If it is different which one to choose next. Can you prepare another article explainingg clearly about it. You are welcome Ajay. In Tech companies, IT and software engineering are different jobs requiring different skills. This article is about CS and software engineering. That said, there is a lot of knowledge overlap between the two. I love and bookmark this article. 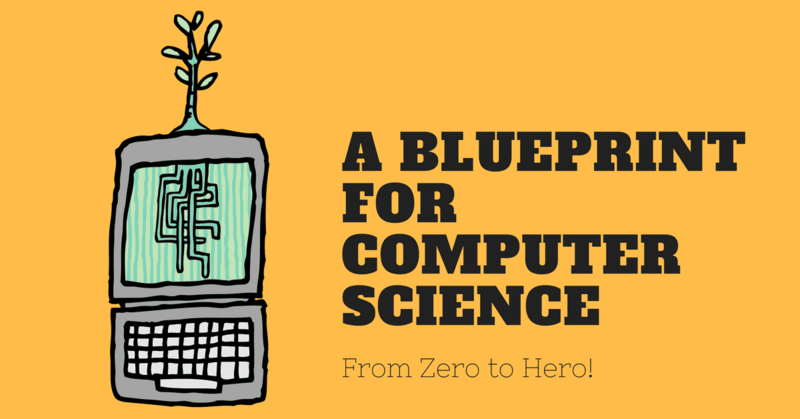 Many thanks for writing such a stunning article to provide the ways and suggestions to the people who pursuits the CS career. My pleasure David! Good luck in your CS career. Great article! It looks easier to follow than the article from teachyourselfcs and all of the other ones I encountered. This would be a perfect foundation to start my CS journey. What’s next after this? Any recommendations? Do be frank i love your article, you are great. Thanks for your effort, we appreciate. Going for btech cse this year and this article gave me a brief idea about my path to be a successful SE . Excellent work . God bless you and give you a healthy life. OH MY GOD!!!! I’m so in love with this awesome article. I’m in my second year as a CS student and for the past few months I’ve been looking for someone to tell me the big picture about CS and the road map for it, I even contacted reall programmers and my college Professors, Non of them was able to give what I needed. But thanks to you, “Mission accomplished”. You really Cleared my path. Always glad to help! Thank you for stopping by.